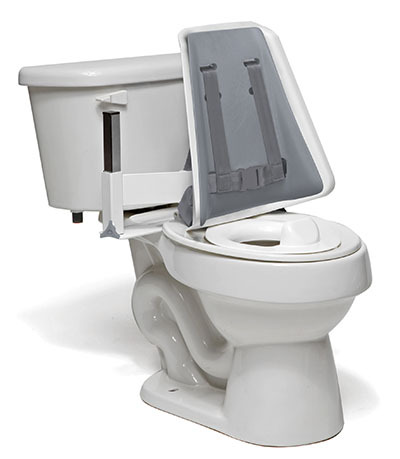 The Columbia® Toilet Support is designed to assist with both positioning using support belts and comfort through the padded reducer ring. Wrap around height-adjustable back support has removable safety safety belt (low back). Also included is a plastic reducer ring. Notice: Typically ships in 1 week. Please note: We cannot accept returns of bathing and toileting products unless unopened and in their original packaging. 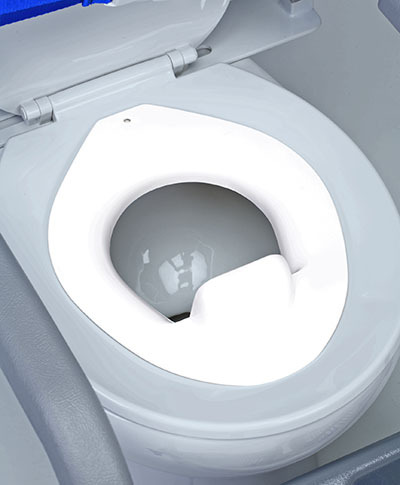 The Columbia® Toilet Support is designed to assist with both positioning using support belts and comfort through the padded back support. Wrap around height-adjustable back support has removable safety H-harness (high-back) and a curved U-shape mounting base that pushes the back support forward. Also included is a plastic reducer ring. 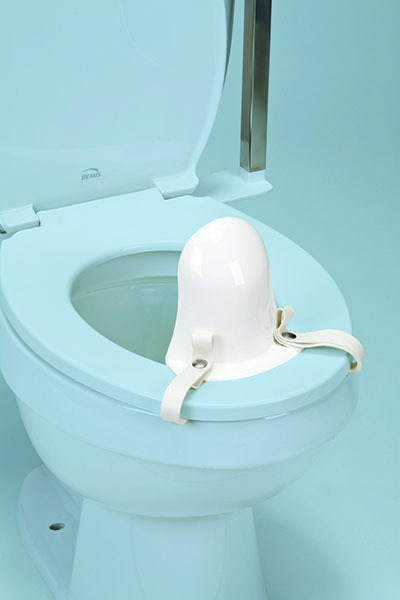 The Columbia® Toilet Support is designed to assist with both positioning using support belts and comfort through the padded back support. 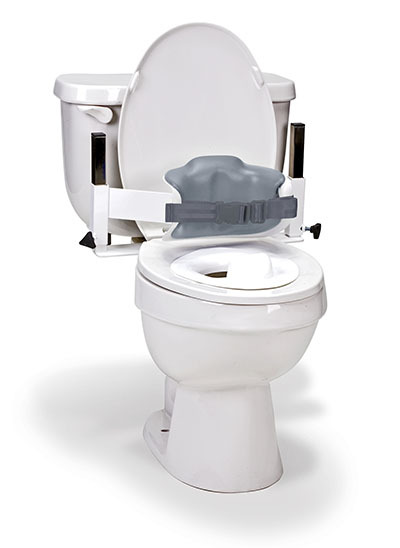 Wrap around height-adjustable back support has removable safety H-harness (high-back) and U-Shaped mounting base. Also included is a plastic reducer ring. Dimensions: 10" x 3.5" x 13"
Notice: Typically ships in 1-2 days. Please note: We cannot accept returns of bathing and toileting products unless unopened and in their original packaging.